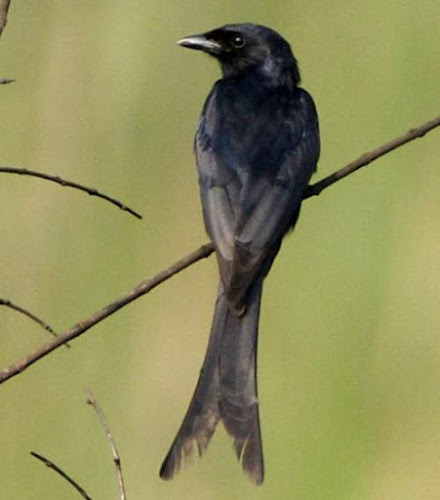 The black drongo (Dicrurus macrocercus) belongs to the family Dicruridae under the order Passeriformes. 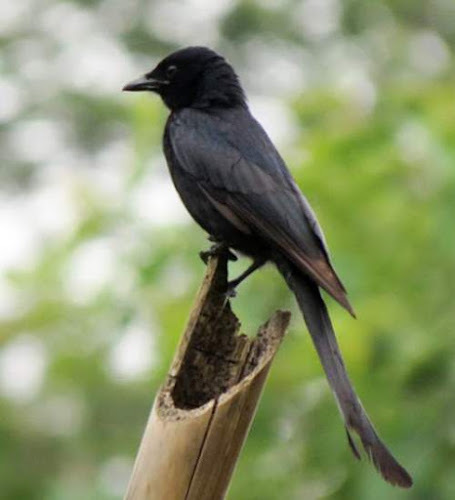 The family Dicruridae was first described by Nicholas Aylward Vigors (1785 – 26 October 1840),an Irish zoologist and politician, in the year 1825. The family Dicruridae comprises four subfamilies, viz., Dicrurinae, Rhipidurinae, Monarchinae and Grallininae. 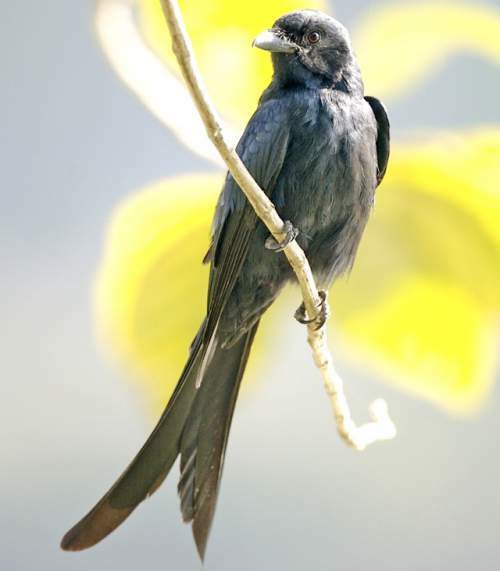 The subfamily Dicrurinae contained two genera, the monotypic Chaetorhynchus and Dicrurus. The genus Chaetorhynchus was recently moved to Rhipiduridae. The genus Dicrurus was first introduced by Louis Pierre Vieillot (May 10, 1748 – August 24, 1830),a French ornithologist, in the year 1816. 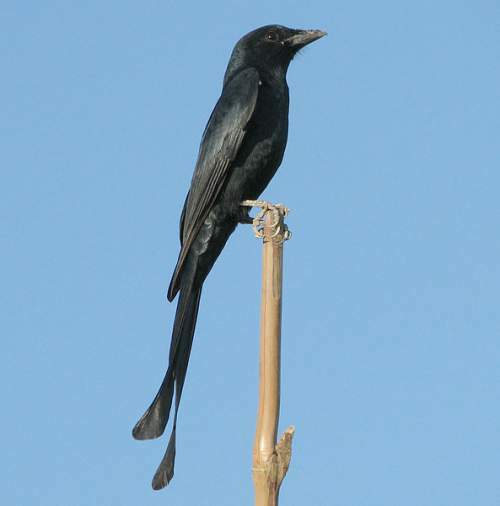 The genus Dicrurus comprises 25 species, including Dicrurus macrocercus. 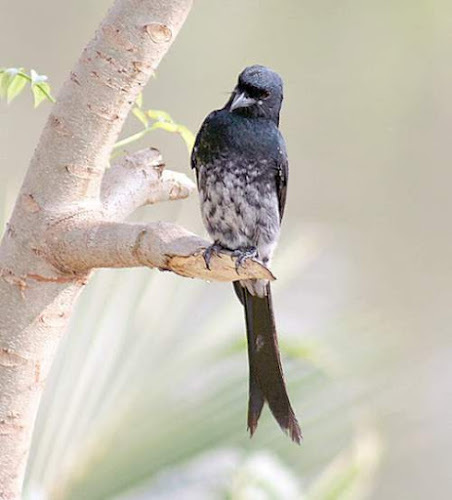 The species Dicrurus macrocercus was first described by Louis Pierre Vieillot in the year 1817. 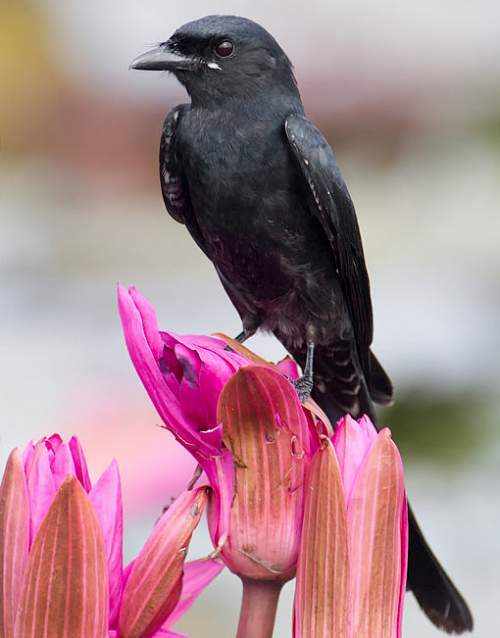 It is polytypic and comprises seven subspecies, viz., D. m. macrocercus, D. m. albirictus, D. m. javanus, D. m. harterti, D. m. thai, D. m. cathoecus and D. m. minor. Current topic in Birds of India: Black drongo - Dicrurus macrocercus images.